DTP 340 REX Product Desc. 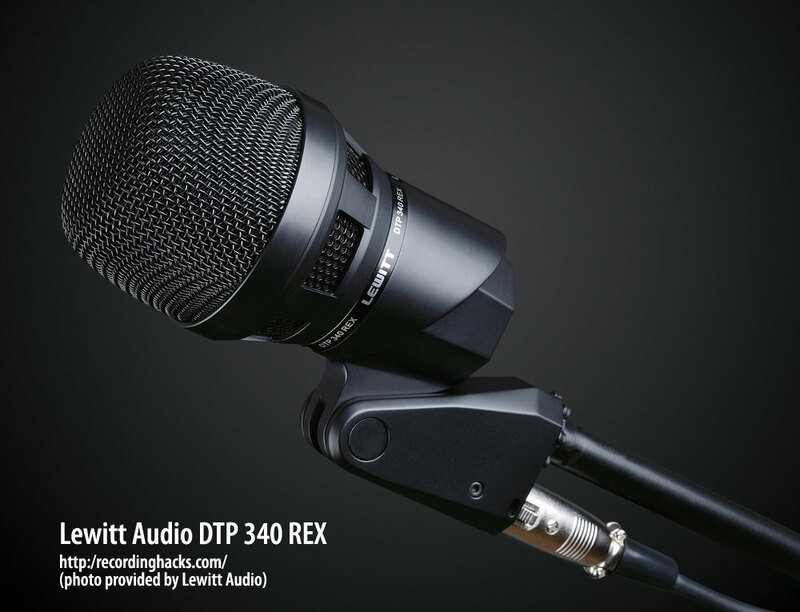 The DTP 340 REX is Lewitt Audio’s entry-level dynamic mic for kick drums and bass instruments. Like most kick-drum microphones, the DTP 340 REX has a frequency response that emphasizes the lows and highs, while attenuating the mids by 8–10dB. 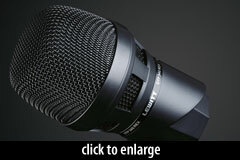 The LF boost is smoother than most “tailored-response” microphones, in that it is flat from 60–150Hz. The presence peak, usually intended to bring out the attack of the kick-drum beater or the finger on the bass guitar string, is flat from 3kHz–8kHz, with an additional ~3dB boost at 10kHz. The frequency response profile is more aggressive than the 340 REX’s sibling mic, the 340 TT, which has less attenuation in the mids and a higher LF boost (80–200Hz). In 2012, the DTP 340 REX was redesigned to include an additional EQ option, called the “Enhanced Frequency Response” feature. When enabled, it applies a boost from 70–150Hz, and from 3–5kHz. 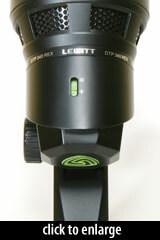 The moving-coil capsule in the DTP 340 REX is unique to this microphone. Its outside diameter measures 27.5mm. It produces a Cardioid polar pattern. As with all the Lewitt DTP mics, the 340 REX is built to withstand years of stage and studio use, with a heavy diecast metal body and steel-mesh grille. Its output circuit is transformerless. The mic ships in a foam-lined cardboard box with a leather storage pouch (p/n DTP 40 Lb). Note that the mic body has an integral mic clip and dual-thread adapter. The Lewitt Audio DTP 340 REX is also known as: DTP340.